Â 2003 Suzuki LT Z-400 in Awesome condition! Very low hours Comes with Brand new tires , Pro Design Billet intake and Air filter , Pro Circuit T-4 exhaust and Aluminum Nerf bars. This quad had the original tires on it when it came in. Fully serviced ready for a new owner. only $2,899.00 + tax , tags , doc. Purchase with Cash or Credit Card on this one. Other Model quads in stock for sale as well Â THE USER OF ANY MOTOR DRIVEN VEHICLE SHOULD ENROLL INTO AN OPERATOR SAFETY TRAINING COURSE. CALL ASI FOR ATV TRAINING AT 1-800-887-2887. THIS VEHICLE IS TO BE OPERATED ONLYBY RIDERS 16 YEARS OF AGE AND OLDER. OPERATING THIS VEHICLE MAY LEAD TO SERIOUS INJURY OR DEATH. ALWAYS WEAR A HELMET GOGGLES AND PROPER RIDING GEAR. Â Â Â Four-wheeling is about to get a little more extreme. And it's going to take an experienced rider to get the most out of it! Introducing the all-new Suzuki QuadSport Z400. It's a high performance four-wheeler that flat out delivers. With an advanced liquid-coolde four-stroke engine, the QuadSport Z400 rewards you with an awesomew burst of performance every time you snap the throttle. at the same time, it combines a broad powerband with loads of torque so you can enjoy the ride everywhere from sand dunes to backwoods trails. Weighing just 372 pounds dry - and featuring a state-of-the-art chassis and long-travel suspension - the QuadSport Z400 lets you flick it around on the trail at will. It's engineered to soak up nasty terrain and come back for more. And when it comes to styling, the QuadSport Z400 has a look that tells everybody this is one four-wheeler built to perform. 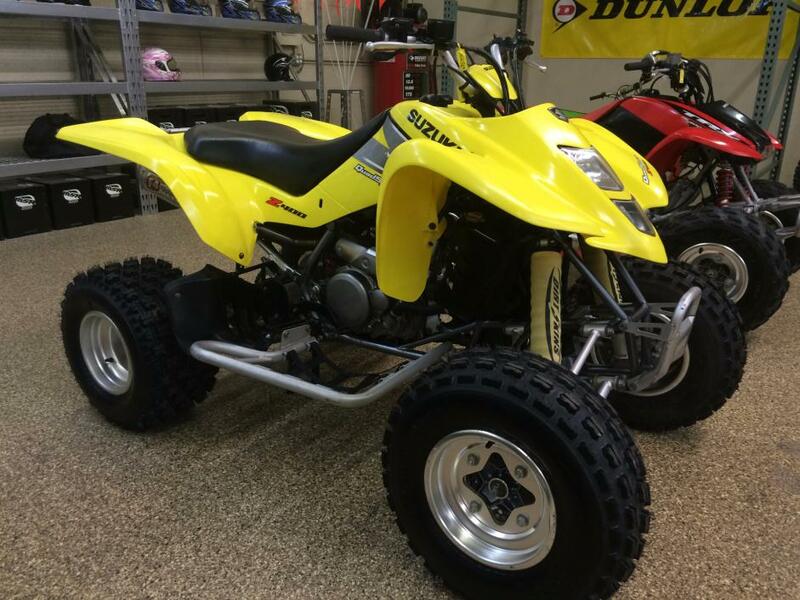 The all-new 2003 QuadSport Z400.m It'll open your eyes and get your heart racing. FREE YOUTH HELMET WITH PURCHASE! With a four-stroke powerplant tuned for smooth, controllable acceleration and lots of torque, the QuadSport Z90 is designed for adult-supervised riders age 12 years and older. It?s loaded with features that let beginning riders focus on developing their skills. 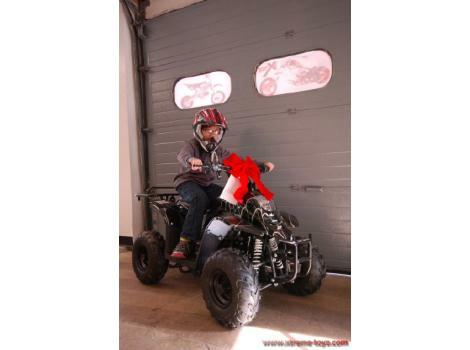 Start them off right and give them the best tools to get the job done with this entry-level ATV. This package includes a 2007 Suzuki 700 EFI King Quad warn winch with Moose plow back rack container helmet and cover.121 hours. 2007 Can Am 400 Outlander cover and helmet. 57 hours. 2 place trailer with quad tri-fold aluminum loading ramps. 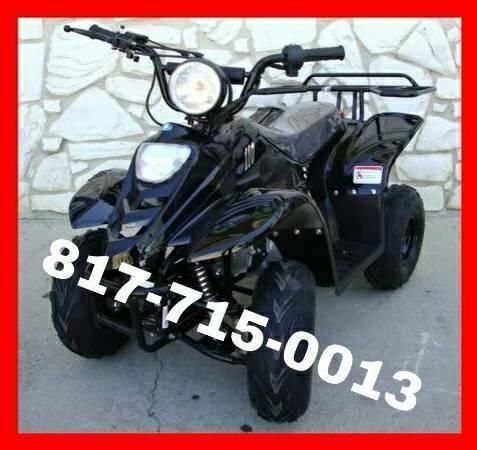 2007 Suzuki king quad 700 EFI with only 121 hours on this machine. 4x4 or 4x2 it also comes with moose plow storage box on the back rack warn winch a cover and a helmet. Hunter Green with only 57 hours. New battery. Includes Helmet and cover. Carbureted wheel base 49" weight 607 lbs Selectable 4x2 or 4x4 Halogen lights. Front brake type inboard dual disk rear brake type hydraulic disc. Total package is offered for $11000. 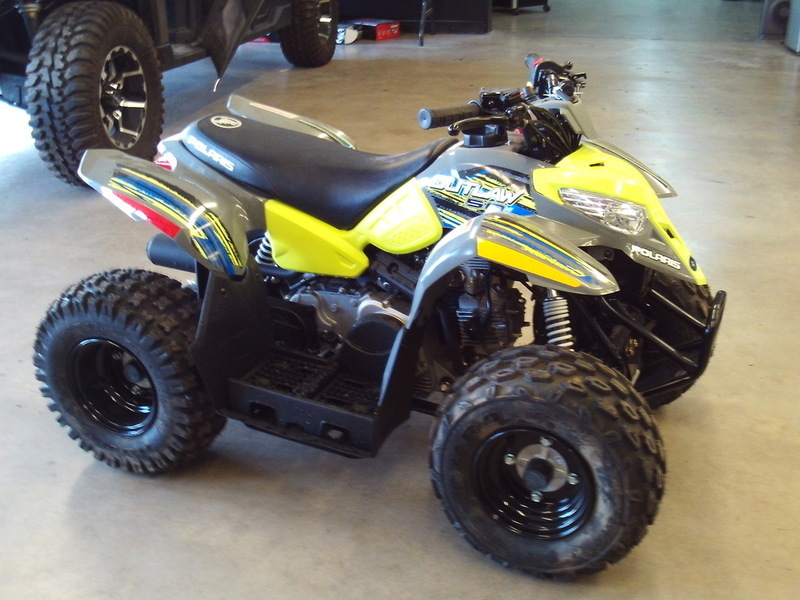 2007 Suzuki 700 EFI King Quad alone is $7000. 2007 Can Am 400 Outlander alone is 6000. Full financing extended warranties and nationwide shipping available. 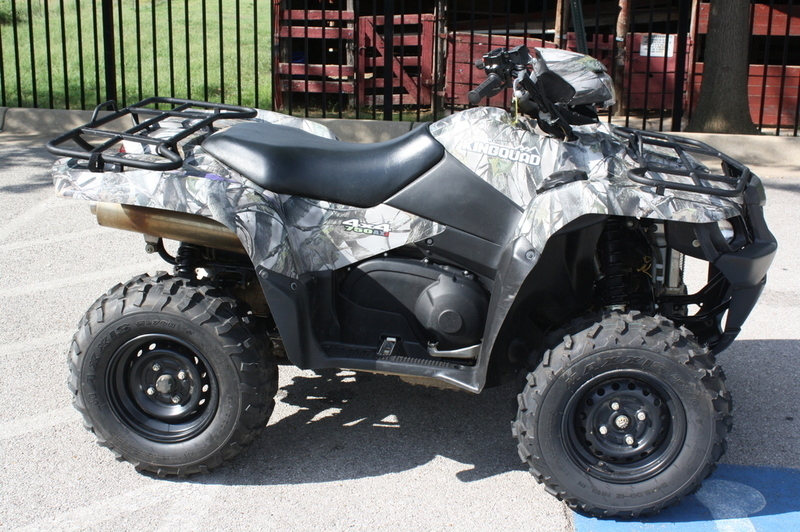 2014 Suzuki KingQuad 750AXi Power Steering Camo, Nice ATV! Heartland Honda is Arkansas's 1st Honda Powerhouse Dealership. We have been a locally owned and operated dealership since 1996 and we sincerely appreciate the opportunity to earn your business. Please contact us for more information. *Price includes all manufacturer rebates, incentives and promotions. **Price is Manufacturer's Suggested Retail Price (MSRP) and does not include taxes, setup, Honda freight charge or the $129 service/handling fee. Sale price includes all Honda rebates and incentives. Credit cards are accepted with applicable service fee. MSRP and/or final actual sales price will vary depending on options or accessories selected. Sale prices change monthly so call the store for current pricing. ***All models' Suggested Retail Price (SRP) excludes destination charge. Visit to view applicable destination charge amount. ALWAYS WEAR A HELMET, EYE PROTECTION AND PROTECTIVE CLOTHING. NEVER RIDE UNDER THE INFLUENCE OF DRUGS OR ALCOHOL, AND NEVER USE THE STREET AS A RACETRACK. OBEY THE LAW AND READ THE OWNER S MANUAL THOROUGHLY. For rider training information or to locate a rider training course near you, call the Motorcycle Safety Foundation at 1-800-446-9227. Engineered to tackle the toughest jobs and nastiest trails with adventure-inspiring ergonomics and a suspension ready to climb over anything. Available in Realtree Hardwoods HD Enhanced camouflage, with power steering for ultimate power and control. Cleanest LTZ in Arizona Like New ! One ride on a QuadSportT Z400 and you'll understand what heart-pounding performance is all about. The QuadSportT Z400 is engineered to be the best all-around sport machine for any terrain - from woods to sand to the track. Boasting industry-leading technology, the QuadSportT Z400 sets the standard for high-performance sport four-wheelers. Go ahead - take aim and turn it loose. The QuadSportT Z400's hard-hitting and high-revving powerplant lets you blast out of corners and rewards you with awesome acceleration on the straight-aways. And talk about maneuverability! Its lightweight design makes it incredibly agile, while its state-of-the-art chassis and long-travel suspension smooth out the gnarliest terrain. The 2005 QuadSportT Z400 - pure sport performance! Must be 16 years or older to operate! Always wear a helmet and We recommend a rider training and safety course before operation! Hi, Up for sale is my baby and one of main main pride and joy's, The wife calls it my girlfriend haha.. I hate too see it go but I recently hurt my ankle and not sure if I can even ride anymore. This is a tricked out yamaha banshee YZF 350 1996 2 stroke quad. I litterly have over 10 thousand invested in this machine and pretty much not even asking what I have in to after market upgrades alone. this machine is adult owned garage kept and the real deal with nothig goofy and no BS. kick it once when it is warm or 3 times when it is cold and it fires right up and needs nothing really just a helmet and a strong grip lol. This is not intended for beginners or young kids by any means as they will get hurt or killed very fast on a machine like this. off the top of my head here are some of the upgrades and sure I will miss a slew more but this is a machine you need to see in person to appretiate what is all into it how it run it's condition etc. it will smoke a brand new one any givin day and runs way better too!! Gold wheels Pure Sports bandit rear's maybe 10 hours on them Fast trekker fron tires maybe 10 hours on them bored .40 over about 20 hours ago new wisco racing piston's and sleeve's both side about 20 hours ago new kevlar brake pads forn rear all around about 20 hours ago K&N Filter K&N pre-charger K&N intake kit Twist grip throttle kit Cascade Boost bottol polished billet aluminum polished billet aluminum case save brand new rear jt sprocket brand new front jt sprocket brand new K&S chain brand new TM Chain rollers full DG aluminum swing arm armor skid plate full DG aluminum chassis armor skid plate full DG A-arm armor skid plate rad valve's rad reed's over sized carb jets and I have the stockers too if needed 10 hours thor racing polished handle bars newer scott handle grips new brake box cover fmf graphics kit with seat cover fmf sst pipes fmf sst silncers shock wears covers front and rear CDI removed Rev Limiters removed IMS shifter lever I still have reciepts I can show in parts alone that is around my asking price as I know this is 96 but it dont look or run like an ol dog like I said this will eat a brand new one up anyday of the week. I will only deal in person so no checks or shipping you come see me and this beast in person and we can negotiate if needed but I know what I have into this what I want for it and what it is worth and what it has seen. it has never been raced or abused, adult owned, garage kept, alway's kept all fluids changed and cleaned, she's a runner that's all that's to it, just jump on it and hold on!! 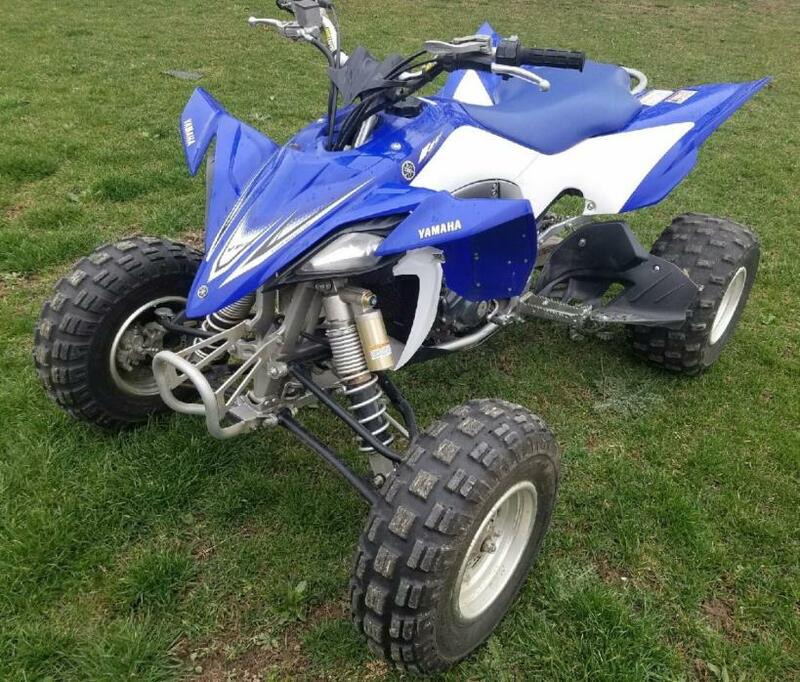 Im selling a 2011 YFZ 450r Blue and White. The four wheeler has low hours probably somewhere in the range of 100-150 hrs. The ATV is fun and quick just dont get time to ride it anymore. The only thing wrong with it is a scratch on the back swingarm from where the chain rubbed once other than that its in excellent condition. Comes with a xxl helmet if you want it. There is still a loan on the quad. 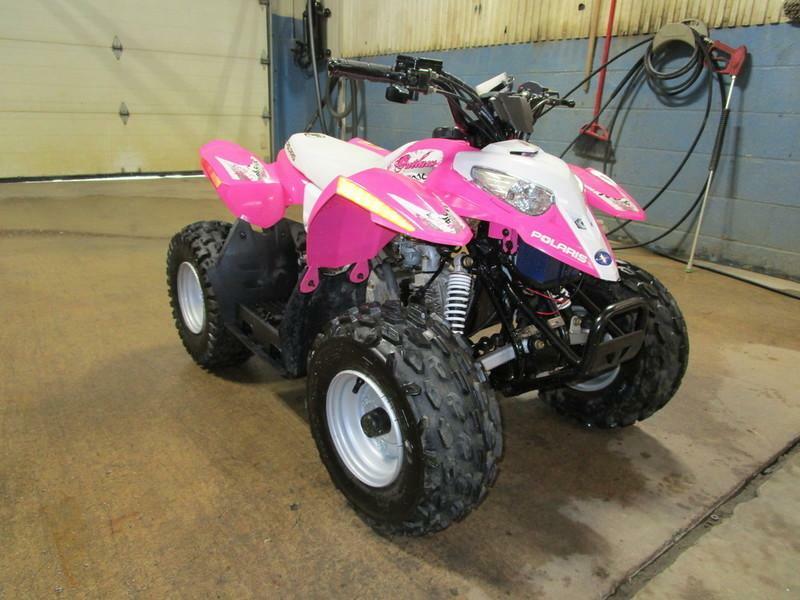 2013 Polaris Outlaw 50 Pink Le, Almost new youth 50cc quad from Polaris in pink. This Outlaw 50 has had all service done and is ready to go for youth age 6 years and older. Come check it out today! Call Eric in sales at 724-7467-7100 or email for further info. 2013 Polaris® Outlaw® 50 BEST SELLING YOUTH ATV Outlaw® 50 - Best-Selling Youth ATV. Polaris® builds the best-selling youth ATVs. The Outlaw® 50 has a 4-stroke 50 engine, 2WD and electric start. Features May Include 4-Stroke EngineTwo-Wheel DriveElectric StartDaytime Running LightsParent-Adjustable Speed LimiterSafety TetherLong-Travel Rear SuspensionHelmet IncludedSafety FlagPolaris® Rider-Training Instructional DVD50 Y6+ Category. For operators age 6 and older. Adult supervision required Minimum age requirements vary by state. Please verify minimum age requirements with the dealership.